At Smithford's we pursue and share the enjoyment of quality, style and creativity while maintaining the integrity of Vancouver Island's west coast. Smithford's is a truly unique shopping experience! Offering an outstanding choice of carefully selected gifts, art, jewellery, fashions, furniture, and home accessories from creative designers to provide you with the very best. We're always on the lookout for innovative products to improve our lives and the world around us. Enjoy the pleasure of shopping in a village atmosphere where parking is free and people are always friendly & helpful. Our furniture is timeless and our commitment to customer service is our best form of advertising. We select our furnishings from a highly curated list of furniture builders. We offer True North Furniture, Hotzon Furniture Inc., Woodworks & Cirey Furniture. We also carry beautiful reclaimed wood furnishings from L. H. Imports. Smithford's has a beautiful selection of fine sterling silver and amber jewellery. 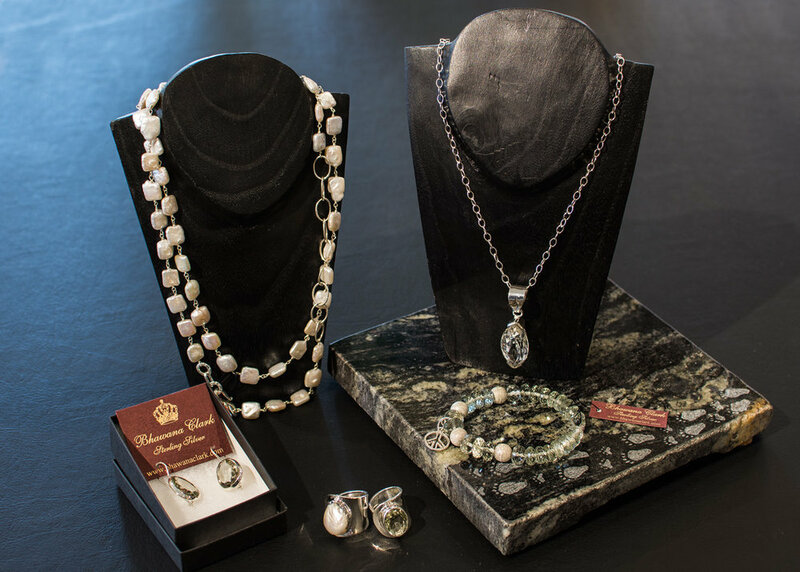 Come in and find the perfect piece for yourself or for someone special. Smithford's showcases many local and Canadian artists. Metal Art by Jack Willoughby and whimsical folk art by Ralph Erickson and Ron Smith (influenced by Don Thompson). 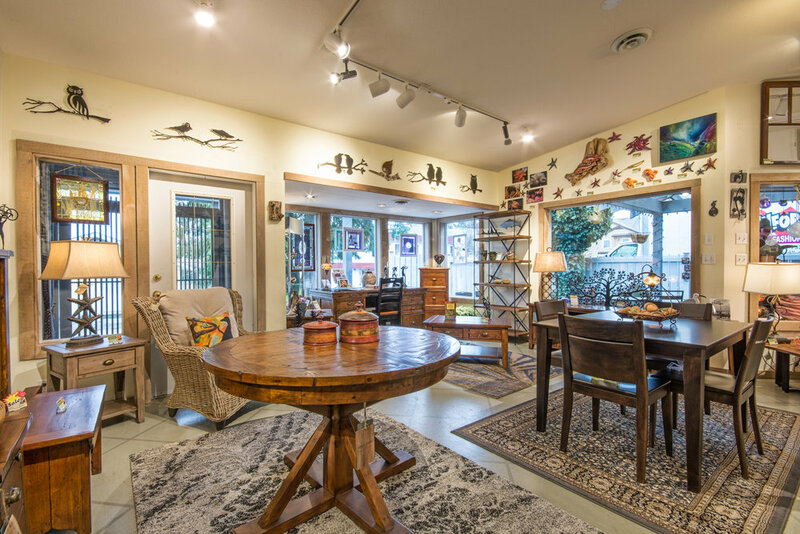 We feature local glass work and beautiful wood pieces, original oil paintings and more. We offer a complete range of home furnishing products that enhance the visual appeal of every room. Local potters both unique and functional such as Mussels & More from north Vancouver Island. 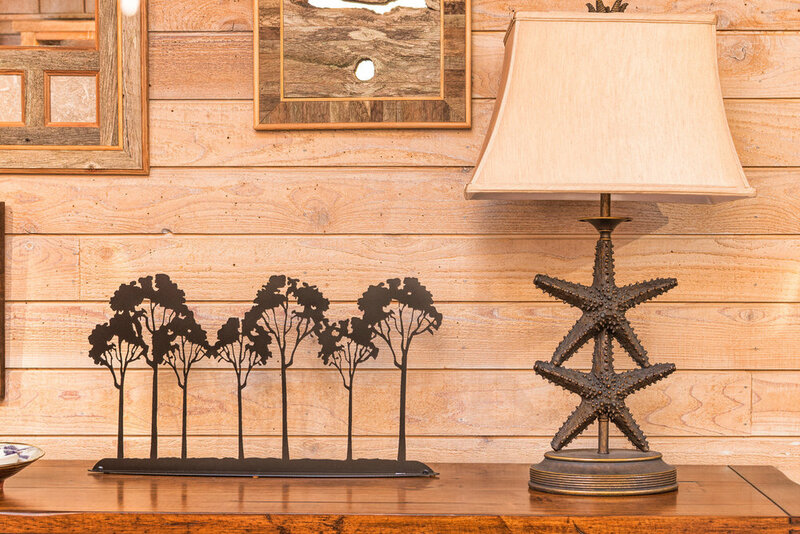 Decor and locally crafted lamps to brighten any home. Stained glass, accent pieces and so much more. At Smithford's we carry soft, comfortable bamboo fashions by Miik - a selection for all seasons.We also carry fashions by CYC, Gilmour and Hue. We have locally made hats, silk scarves from around the world. Drop in today and update your wardrobe.